Far too often people to try brush off technical violations of probation as a minor infraction with no real repercussions. However, time and time again, these same people will have these seemingly “meaningless” infractions come back to hurt them. Some of the most common ways a technical violation occurs include when someone fails to pay their cost of supervision fees or restitution. Alternatively, if an individual that is currently on probation is arrested for a new offense, this arrest would be considered a substantive violation of probation. Regardless of the classification of the violation, all violations should be taken seriously and avoided at all costs. If you are uncertain about your probationary status, it is wise to contact your criminal defense lawyer to understand your situation. One of the most common ways a violation can be dismissed is if the technical violation occurs close to the probationary period termination date. In the event that this is the case it is likely the violation may not have time to get addressed prior to the end of your probation. This is because a violation must get addressed before the probation is terminated. Most people are aware that they have the right to a speedy trial when going through the court system, however, the same does not apply for probation violations unless it is a technical violation. In a 2016 ruling, a Florida Appellate court ruled in favor of a man who appealed a five-year prison sentence for technical probation violations. The court overturned his sentence because the arrest occurred after the termination date of his probation. 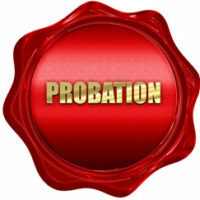 When a technical violation occurs a probation officer will go to a judge and ask the judge to sign a violation of probation warrant for the arrest of the probationer. During this period their probation will continue on. However, a person who violates their probation by committing another crime will not be treated the same way. When a judge issues a warrant for an individual who committed a crime while on probation, the signing of the warrant will automatically pause the term of the individual’s probation. This means that there is essentially a freeze in time once the warrant is signed, thus, the probation period can not end. This is not the case if a warrant is signed for your arrest due to a technical violation; even when the warrant is signed, your probation period will continue to roll on. The one outlier that would result in a technical probation violation that pauses probation is if the individual goes missing in conjunction with the violation. If the individual absconds from supervision, their probation will be immediately tolled regardless of the type of violation. In certain cases, a violation of probation can be a race against time, especially when the violation occurs close to the termination date of the probation. However, it is important to understand the severity of any potential probation violation, under no circumstance should a violation be taken lightly. If you have been accused of a probation violation or another crime it is critical that you immediately contact an lawyer. Effective representation can make a world of difference, and leaving your freedom up to chance is unwise in any situation. Call or stop by The Baez Law Firm in Orlando today.